The Estonian Final was held on February 8th at the ETV TV Studios in Tallinn, hosted by Marko Reikop & Romi Erlach. The winner was chosen by an international panel of 8 judges. Claire's Birthday came 21st at the ESC. Family consisted of Susan Lilleväli, Kaire Vilgats, Maiken, Diana Varik & Asja Kristofor. Maiken & Kaire Vilgats were both backing singers for Estonia in ESC 2000, while Kaire also did the same for Malta in ESC 2002. 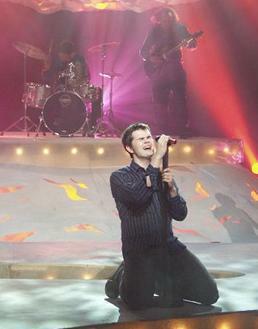 Koit Toome represented Estonia in 1998. Maarja (ESC 1996/1997) & Evelin Samuel (ESC 1999) were amongst his backing singers.